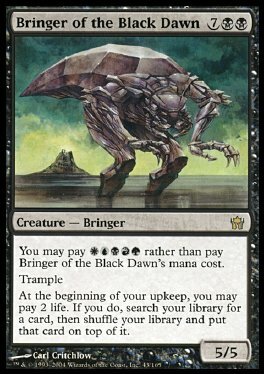 You may pay WUBRG rather than pay Bringer of the Black Dawn's mana cost. Trample At the beginning of your upkeep, you may pay 2 life. If you do, search your library for a card, then shuffle your library and put that card on top of it.